With all the shock value of a baby with a full nappy, news is that departing Arsenal manager Arsene Wenger will become the highest-paid manager in the world should he move to the Chinese Super League. The BBC says so. He won’t go, of course. It was only a day or two ago that the tabloids were telling us of Wenger’s “hint” at continuing to coach in European football. China might well own vast chunks of European real estate and capital, but we’re not yet an enclave. But Wenger, who has been earning £8m-a-year, can get even more after being sounded out with a serious offer from China for when he steps down at Arsenal this summer. Oh, and the Mirror “understands” Wenger would prefer to manager in Europe. The paper “believes” Wenger wants to continue in management. Mirror and BBC readers might well understand that this story has more holes than the Arsenal defence, which is lots. As for the actual football, Arsenal travel to Manchester United on Sunday. The game falls between their Europa League clashes with Atletico Madrid. Arsenal fans have no need to wonder what team Wenger will send out at United – it’s not the one that used to fight and scrap and win. It’s the one that follows an 8-2 drubbing; the team of journeymen you get when a palsied board stick with a faded talent in exchange for regular dividend cheques that come with being also-rans. Arsenal are slipping. Last summer was dominated by the mess over Alexis Sanchez (now at Man United, of course, and playing well) and Mesut Ozil’s contracts. This one will be about a new manager, and Aaron Ramsey and Danny Welbeck when the pair enter the final 12 months of their existing deals in June – when Jack Wilshere will be a free agent. No planning. No vision. “I always got a great reception at Old Trafford,” says Wenger. “I don’t know what kind of reception I will get but we will be focused on winning the game. 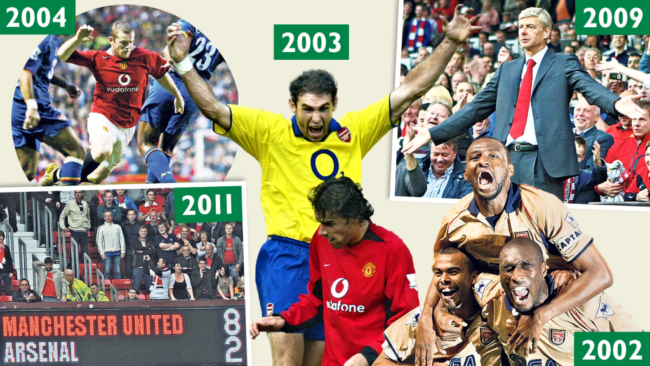 We always had some great battles in 22 years.” When was the last one, Arsene? 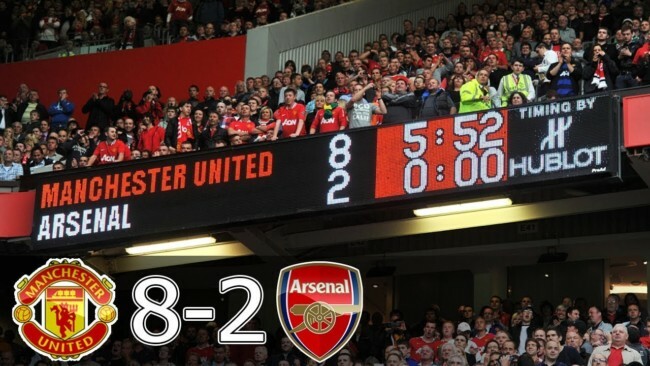 Manchester United 8, Arsenal 2 (2011). He should have gone years ago.